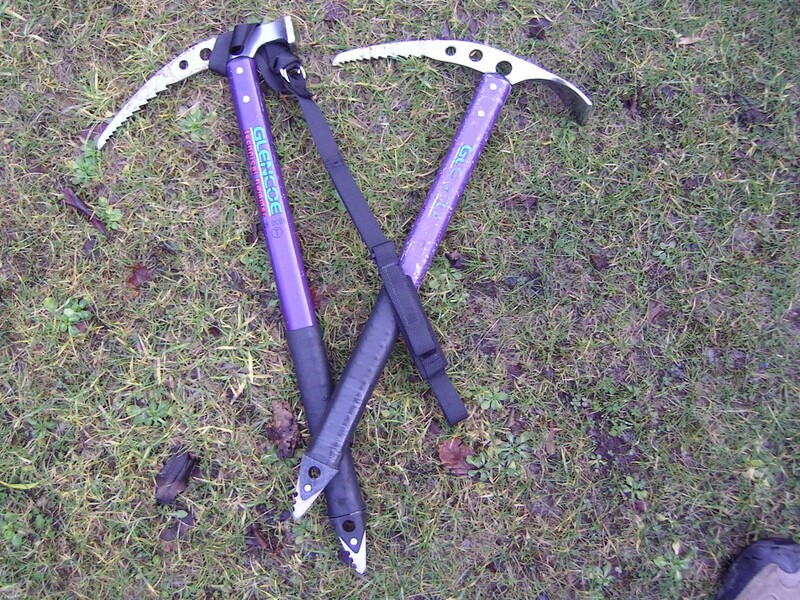 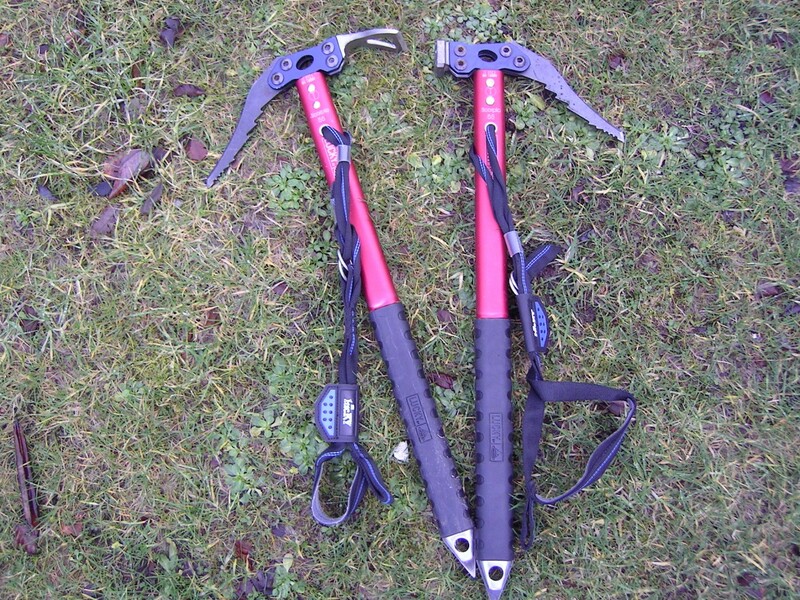 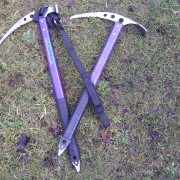 When you need crampons and an ice axe, you really need them – but for the rest of the year they just take up space. 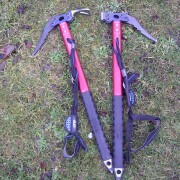 Save on clutter by hiring from us when you need stuff and bring it back when you’re done. 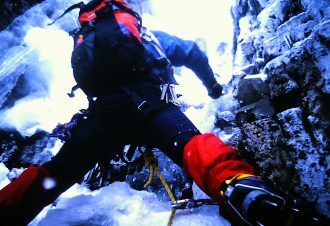 If you are not sure if thisis the sport for you then do not go out and spend hundreds of £s on new gear. 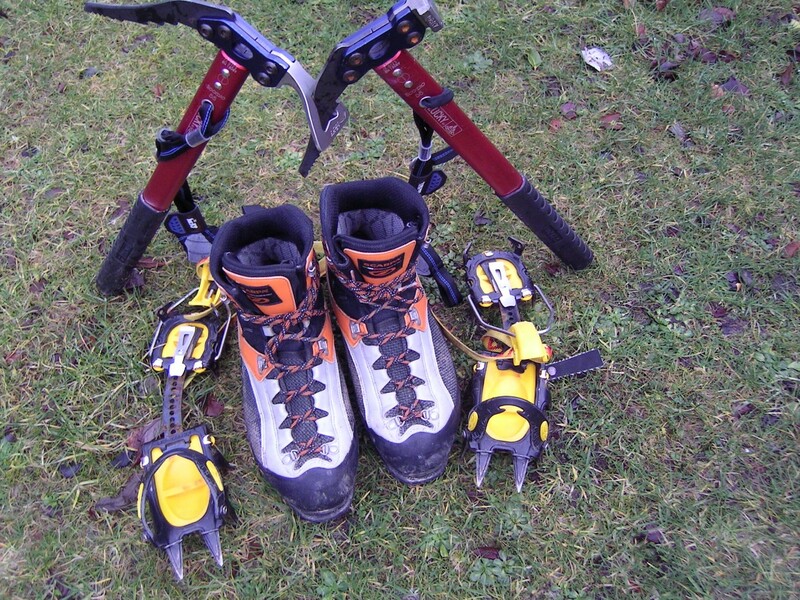 Beg, borrow or ……. 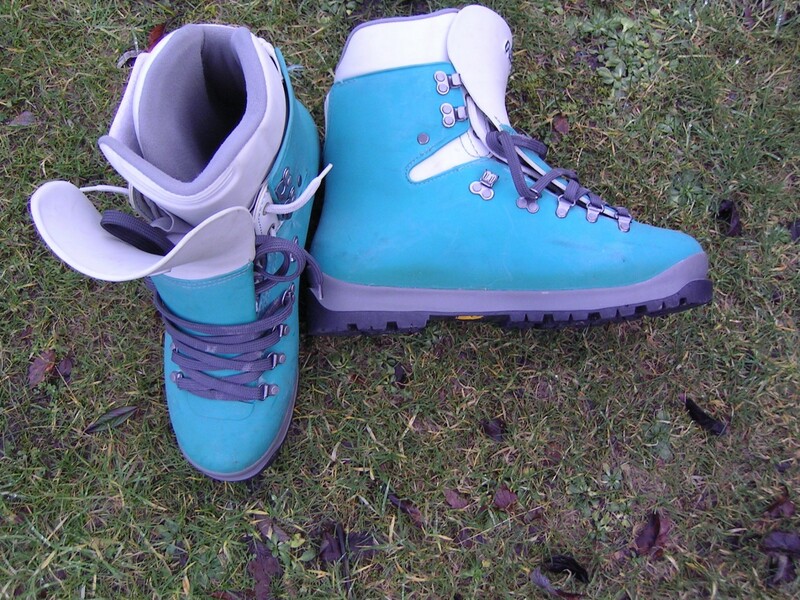 Charity shops and (increasingly) e-bay are a good source of realistically priced mountain gear – but you do need to know what you are buying. 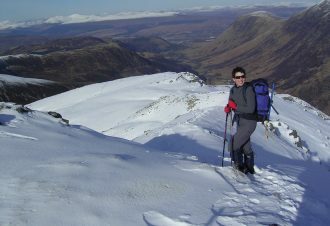 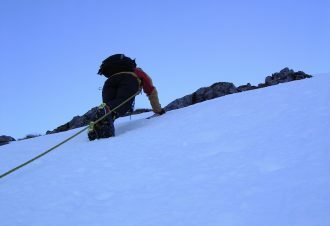 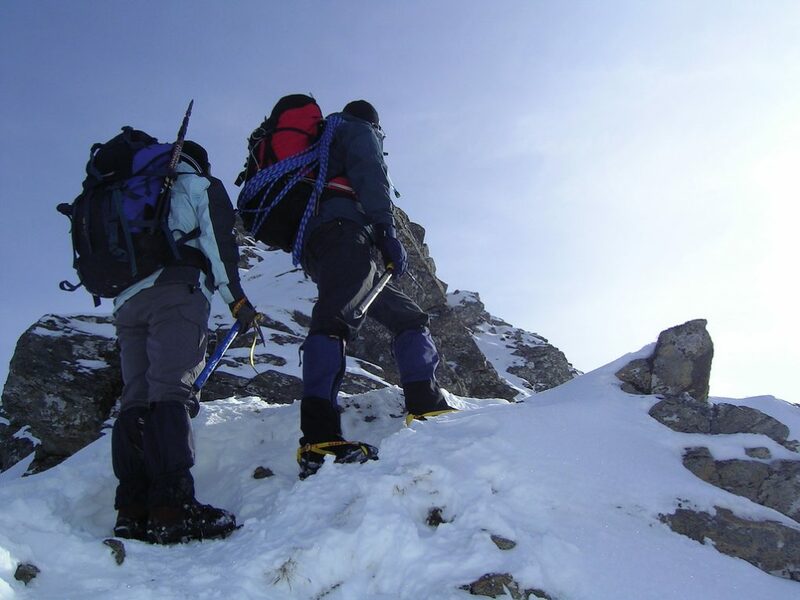 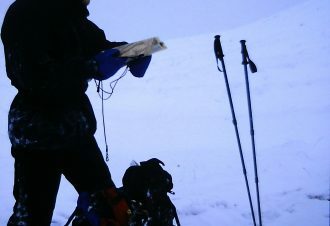 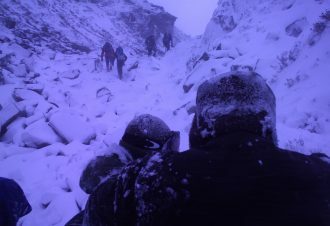 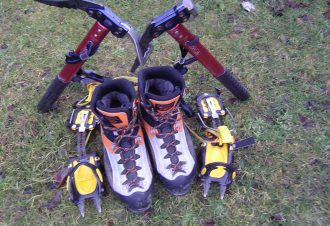 We have a wide range of winter mountain boots (plastic and leather) , ice axes (walking and technical), crampons (walking & stepins) available for hire. 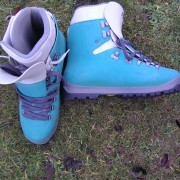 Our winter boots sizes now range from size 4 to size 13. 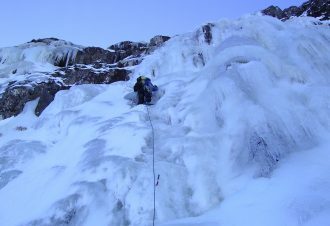 If needed we also have waterproof jackets over trousers, ruc sacs & day sacs plus spare hats & gloves – in case you have forgotten yours! 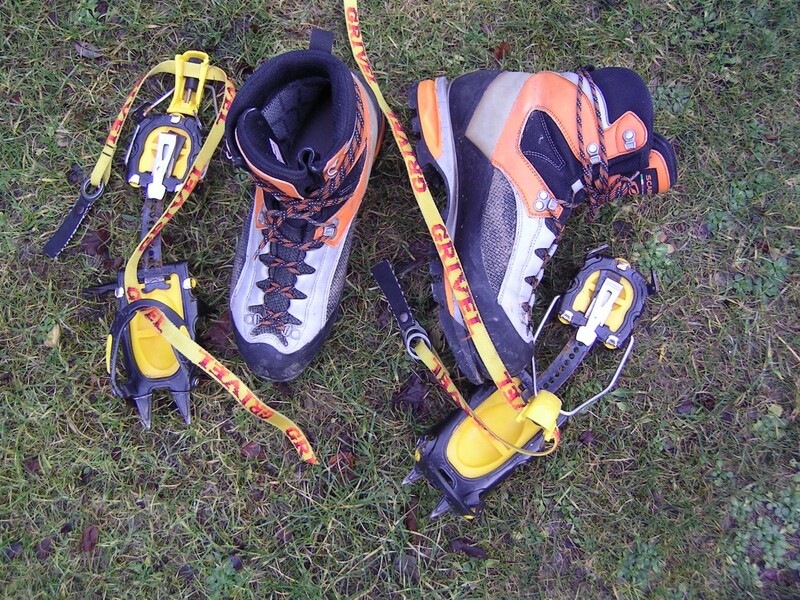 We do not hire out more technical gear such as ropes and harnesses or other hardware for safety reasons. 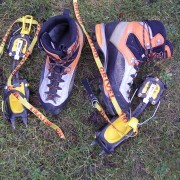 However all technical gear is included in our course prices. 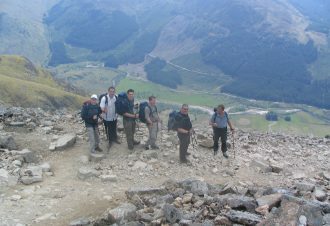 If you just hiring from us then there is always a security deposit to be paid by cash or cheque only. 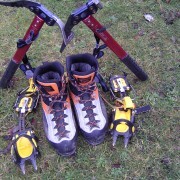 At busy times in the winter it is always advisable to pre-book gear as our own courses will always be a priority.